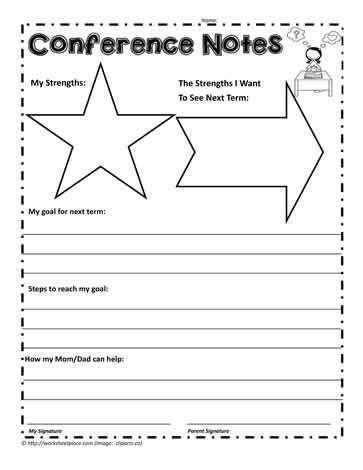 A printable for parent teacher and student led conferences. Students fill in their strengths and areas for growth for the next term. Students put in their goals and the steps they need to reach their goals.